(1) Duke vs. (16) NC Central/North Dakota St.
Dylan Fraychineaud: Without Zion Duke would win by 20. 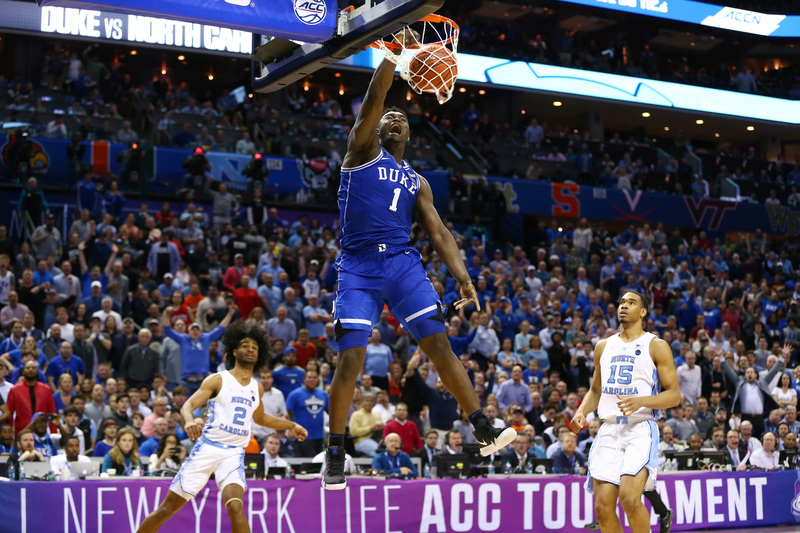 Harris Ahmadzai: This could be a good time to see if Zion could beat a team single-handedly. Either way, the Blue Devils coast. Jason Fray: Duke wins this game…and it won’t be particularly close. DF: I think this is one of the more underrated games of the opening round. VCU’s defense is ferocious and is capable of dismantling good offenses. UCF also plays high-level defense. One huge difference is Tacko Fall — UCF’s 7-foot-6 center. HA: UCF’s giant Tacko Fall will be a significant x-factor here. If the 7-footer can be a menace on the defensive end and finish everything near the basket, UCF has a great chance to win. If Fall is unplayable against the frantic Rams, VCU could run the Knights off the court. He’s been in a nice groove lately, and is coming off one of his best games of the year against Memphis. JF: This is going to be be an interesting contest. VCU struggles to score, yet are very good on the defensive end. Tacko Fall and his 7-foot-6 frame might not be able to play much — particularly if the pace is ramped up. I like VCU in a tight contest. DF: In a close game, Mississippi State’s work on the glass will be the difference. Liberty will surprise people that haven’t watched them this season, but the Bulldogs’ edge on the boards will be too much to overcome. HA: The ASUN champion Liberty Flames made waves when they defeated UCLA back in December. Winners of 17 of their last 19 games, the Flames have the makings of a team that could make a surprise run in the tourney. However, I don’t think they get out of the Round of 64, as Mississippi State shoots the ball too well to lose their first game. JF: A ton of people are predicting that Liberty will win this contest. The Flames did beat UCLA earlier this season, and also have two guys (Lovell Cabill Jr., Elijah Cuffee) shooting over 43 percent from three. However, Mississippi State will destroy Liberty on the boards, thus limiting second-chance opportunities. Duly, Ben Howland is a master when having time to prepare for an opponent. DF: If the Hokies weren’t inline to play Duke in the Sweet 16, I would consider them a dark horse to make a Final Four push. Saint Louis is a decent team, but a healthy Virginia Tech is arguably a top-10 unit. HA: Saint Louis looked awesome during their tear through the A10 Tournament — beating the top three teams in the conference in succession (Dayton, Davidson, and St. Bonaventure). But, that doesn’t matter, because Virginia Tech has their point guard back. Justin Robinson’s return to the lineup cannot be understated. 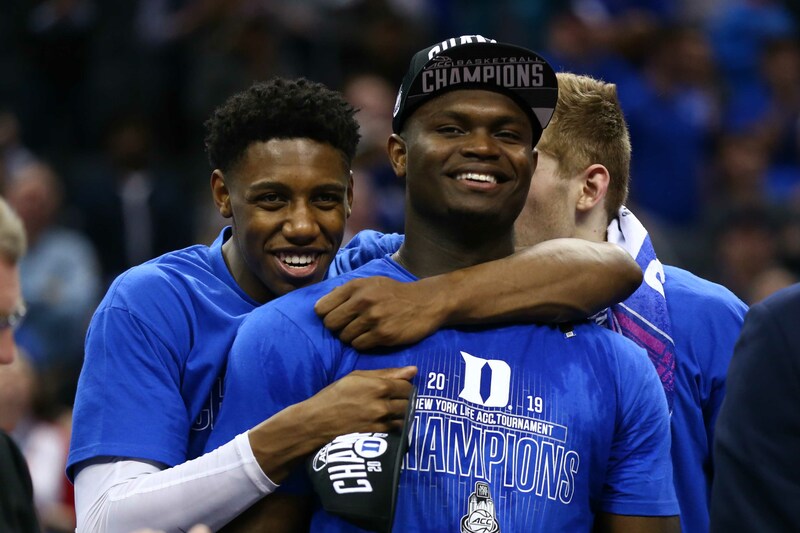 They’re a far better team with him on the court, and could serve as the only true competitor to Duke in the region. JF: With Justin Robinson coming back, VaTech is a very dangerous team. The Hokies have the look of a squad destined for the Sweet 16 (if not further). Saint Louis will challenge the Hokies, but I’d bet on Buzz Williams having his team ready to go from the jump. DF: Assuming Belmont topples Temple, everyone is seemingly bullish on their chances to knock off Maryland. The reason being, Belmont runs a smooth offense and is one of the best passing teams in the nation. I’m on board. 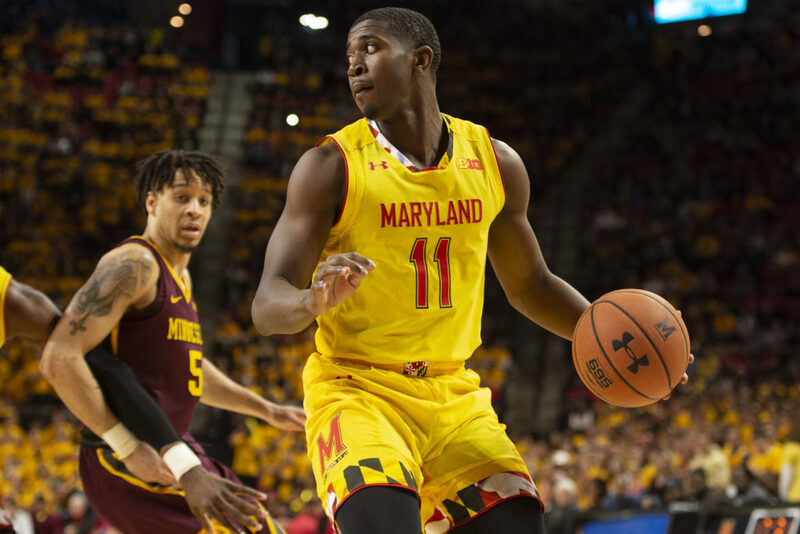 HA: I’m starting to think Maryland is a bit better than we’ve given them credit for. They played Virginia tough earlier in the year, beat Purdue (and lost a close one earlier in the year), and went 13-7 in a tough conference. Bruno Fernando is a stud who can change the game on both ends, and neither Belmont nor Temple have anybody who can matchup with the eventual NBA prospect. JF: Maryland has been rather uninspiring all season long. Belmont can shoot the lights out, and Temple is as tough as nails. I like the winner of the play-in game to knock Maryland out of the tournament. 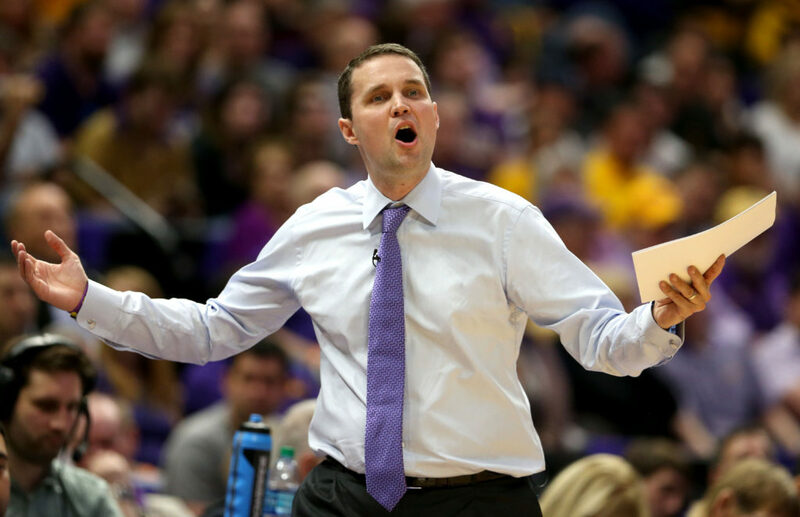 DF: Will Wade’s absence will hang over the LSU Tigers throughout their tournament run — a run that may never get started. Yale is spearheaded by a future pro in Miye Oni, and is capable of scoring in bunches. However, even without Wade, LSU is a superior team. HA: Yale has caught some upset steam since the brackets were announced. LSU looks vulnerable after dropping a heartbreaker to Florida, but make no mistake about it, the Tigers are loaded with talent. Eventual NBA lottery pick Naz Reid is buoyed by guards Tremont Waters and Javonte Smart. It won’t be pretty, but LSU’s talent wins out in a nail biter. JF: This will be the biggest upset of the first round. LSU’s program is currently in turmoil. With all the distractions surrounding the status with head coach Will Wade, Yale is the perfect team to come in and shock the field. The Bulldogs score over 80 points a game, and shoot a respectable .370 from three. Unlike most Ivy League schools, Yale also has a rather tall/large frontcourt (which will be immense when needing to slow Naz Reid). DF: The Pitino’s will garner all of the headlines, but this game is an intriguing one on the court. Jordan Nwora (L’ville), Amir Coffey and Jordan Murphy (Minn) are all talented players. Louisville will ultimately prevail in a seesaw affair. HA: Minnesota is just a bit outclassed here. Rich Pitino will have his team ready to play against his father’s former program, but it likely won’t be enough. It’s truly impressive what Chris Mack has been able to do in just a single season at Louisville. It’s only a matter of time until they are a national power once again. JF: Louisville has the more talented team in this matchup. Chris Mack is an excellent postseason coach, and the roster as a whole should have no issues with a feisty Minnesota group. DF: Bradley can defend, but they are lousy offensively. Michigan State has Cassius Winston and Matt McQuaid. HA: MSU segues their great play from the Big Ten tournament into the first weekend of the tournament. Even without guard Joshua Langford, the Spartans are a threat to win it all. JF: Sparty looked pretty damn good during the Big Ten Tournament. With Tom Izzo’s team firing on all cylinders, a date with Duke in the Elite 8 looks likely.